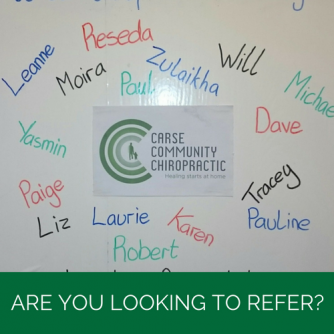 Welcome to Carse Community Chiropractic, located in the Heart of the Carse of Gowrie, Inchture. We offer Chiropractic Care for our community along the length of the A90, between and including, Dundee, Perth and beyond. 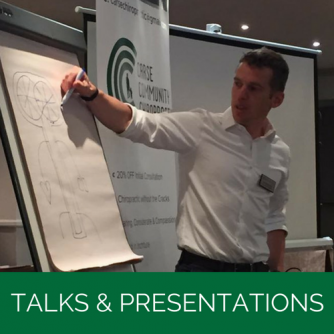 The technique used by Carse Community Chiropractic is called the NeuroImpulse Protocol, a highly specific and very gentle procedure developed by Dr Neil Davies & taught by him in countries all over the world. It is a very specific, low force adjusting method which is leading the way in the chiropractic world and is now being brought to Scotland. This offers you Chiropractic without the Cracks. Your body is the most advanced bit of kit that you will ever own. Everything that goes on in your body is a result of chemical reactions. These chemical reactions are coordinated through your nervous system and controlled by your brain. If there is a breakdown in this communication network then your body will not be producing the correct chemicals to keep your body working at its best. Ultimately your brain and nervous system are the master control system for everything that goes on in your body. Therefore, these critical elements are protected by your skull and spine. As chiropractors, we focus on one particular aspect; the spine and its relationship to the brain and nervous system. We exclusively address interferences in the transmission of impulses from the brain to the tissues of the body. How do we do it without the Cracks? 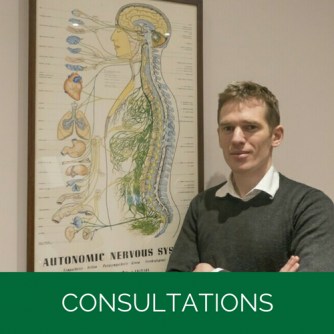 We specialise in a gentle and neurologically specific form of chiropractic, the Neuroimpulse Protocol (NIP), this technique offers you Chiropractic without the cracks! What makes an NIP adjustment different? An NIP adjustment is a hold and impulse technique directed to restore normal neurological function. It is called a thrust but there is none of the force associated with a mechanical manipulation. It is the speed and the specific direction of the thrust that has a direct and profound effect on the nerve supply to and from the involved area. NIP adjustments are low force by nature and you will not feel or hear any cracking sounds. Chiropractic is not a quick fix and it is not a guaranteed cure all! The symptoms you are experiencing at the moment may have been waiting to surface for a long time and for a whole variety of reasons! Our aim is a long-term improvement and the maintenance of this improvement in function and health. Therefore, the recommended number of visits and their frequency will be tailored to suit you as an individual. It is important to remember that your body heals itself but this will require time, effort and repetition.